Noun. 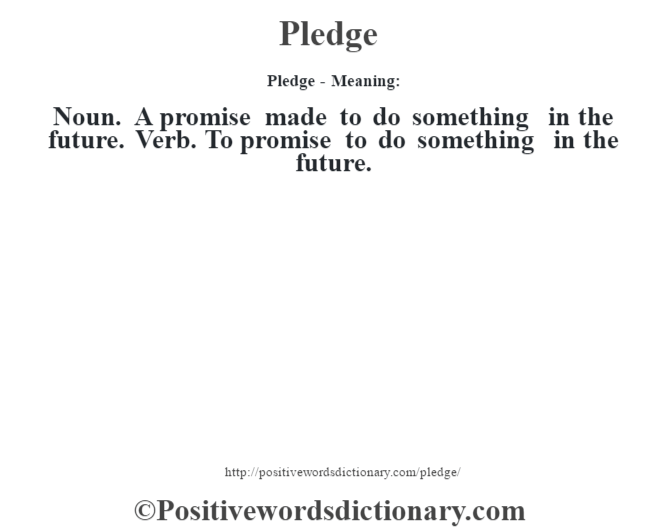 A promise made to do something in the future. Verb. To promise to do something in the future.